Singapore is a sovereign city-state in southern Malaysia, famed for its prosperous financial centre and colonial monuments. With a population of 5.7 million people, Singapore is comprised of a medley of cultures, including Indian, Chinese and Malay. Home to spectacular architecture and design, famous tourist attractions include Sentosa Island, the Singapore Flyer and Marina Bay Sands. 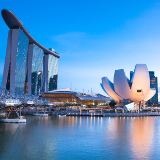 Cheap flights to Singapore are now available for a limited period of time, so get ready to experience the cultural fusion and cosmopolitan lifestyle of this modern island city! Singapore is home to Changi Airport (SIN), a 40-minute commute to the city centre. Singapore shows off its incredible design and creative genius in its unique buildings and grand skyscrapers. The city successfully blends together its stately, colonial buildings and modern, new-age designs. There is never a dull moment in this city, with its unique textures, flavours and charms. Dine at one of the trendy bars along Clarke Quay’s or tuck into an Indian curry at Little India’s street markets. 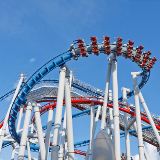 One day is not enough to visit the plethora of diverse attractions Singapore has to offer. From Sentosa Island, to Gardens on the Bay, to the ArtScience Museum in Marina Bay – the city will leave you amazed and inspired. Singapore’s climate is fairly moderate and generally remains hot and somewhat humid throughout the year. Summer (July-September) is a popular time to visit as there is a festive ring in the air where shopaholics can indulge in the famous Great Singapore Sale and foodies can relish the Singapore Food Festival. The shoulder season, between February and April, is pleasantly cool with a few rain showers making their way over the city. Winter (November-January) is the off season, when the city cools down slightly and experiences long, heavy rain showers. Many hotels offer discounted accommodation during winter, so pack an umbrella and set off on your Singapore adventure! Once a simple fishing village and trading port of the East India Company, this futuristic city is now the epitome of high-end living with its dazzling skyscrapers, world-class shopping centres and luxurious hotels dotting the skyline. Home to the busiest airport in the world, this affluent city is a melting-pot of cultures – evident in its architecture, cuisine and nightlife. Comprised of many different neighbourhoods, each one lays claim to unique cultures and customs. Chinatown and Little India are mesmerizing in their colourful, ornate buildings, vibrant people and jasmine-scented streets. Riverside is the colonial heart of the city, sporting museums, statues, grand theatres and quirky cafés. Witness the opulence of Marina Bay as you peruse through the casino and shopping centres, while a trip up to the deck of Marina Bay Sands offers breath-taking views of the island. Singapore’s cultural skyline is peppered with the Esplanade Theatre, Chinatown Heritage Centre, the National Museum of Singapore and the Art Plural Gallery. The colonial-style Raffles Hotel is a must-see, boasting a myriad of boutiques, restaurants and bars. 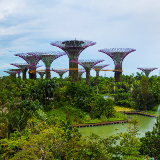 Singapore’s vast parks and gardens have earned it an eco-friendly reputation, with the like of Gardens by the Bay and the Botanica Gardens. 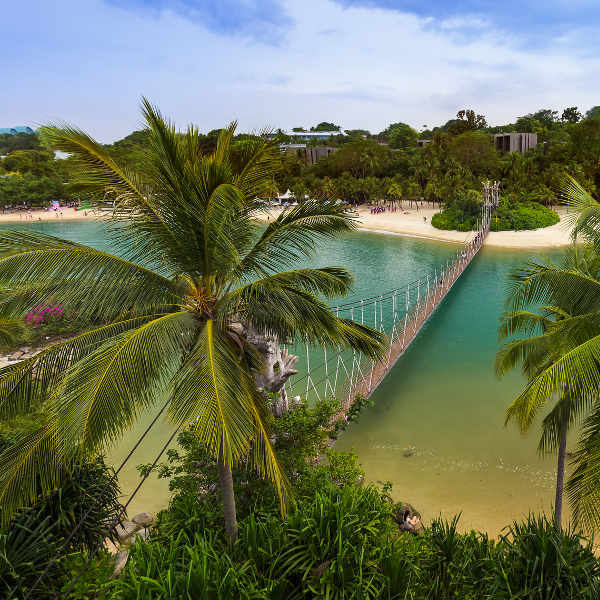 Sentosa Island is a must-do for a day out with the family, with Universal Studios being an unforgettable experience. Compare several airlines, and book your cheap flights to Singapore online at Travelstart! Singapore is one of the safest cities in the world. There are strict laws in place and enhanced security so the chances of any major crime occurring is highly unlikely. Visitors will be able to enjoy this city and all its amazing attractions without worrying about their safety. Locals are generally very considerate and take pride in the cleanliness of the city. Littering in any form is illegal and frowned upon. Accommodation in Singapore is relatively expensive by South-East Asian standards. If you are looking to splurge a little on your accommodation, be sure to book in advance as the higher-end accommodation tends to be in high demand, particularly during events and conventions. The lower-end hotels seem to remain affordable and available throughout the year. Orchard Road is Singapore’s shopping haven, with lavish shopping malls serving up designer labels and fancy electronics. Just south of Orchard Road lies Marina Bay, home to the rich and famous with a grand display of 5-star hotels. Check out the river front along Clarke Quay’s, where tranquil dining and a bustling nightlife sum up Singapore’s lifestyle. Take a cool evening stroll along the esplanade, home to the Singapore arts scene, where just around the corner you can tuck into some local street food. Chinatown, just south of the business district, is home to quaint wooden shophouses and Chinese shopping centres, while the market on Pagoda street sells all kinds of delicious treats. 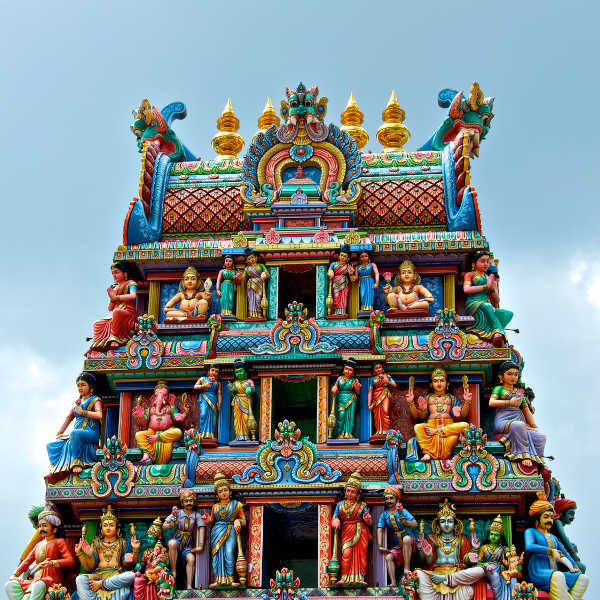 Budget travellers in search of a more down-to-earth atmosphere must explore Little India. Lined with cheap hostels and rustic hotels, the streets are infused with curry cafés and colourful buildings – a true slice of Indian culture. Singapore is probably one of the easiest cities in the world to get around. The transportation system runs efficiently, allowing you to navigate your way around the city seamlessly. Similar to London’s Underground Oyster card, Singapore’s EZ-link card enables you to travel on the MRT trains as well as city buses at a 15% discount. All of the main attractions are within walking distance to MRT stations. Unlimited travel will cost you around S$10 for one day, and S$20 for three days. Taxi cabs are easily available and can be hailed from the roadside. Beware of surcharges during peak hours, late night trips, travel through the central business district, phone bookings and electronic payments in and around the city. If you’re pressed for time, a great, scenic way to see the city’s main attractions is via the Hop On-Hop-Off bus, where you can spend up to a full day taking in the sights and flavours of Singapore. 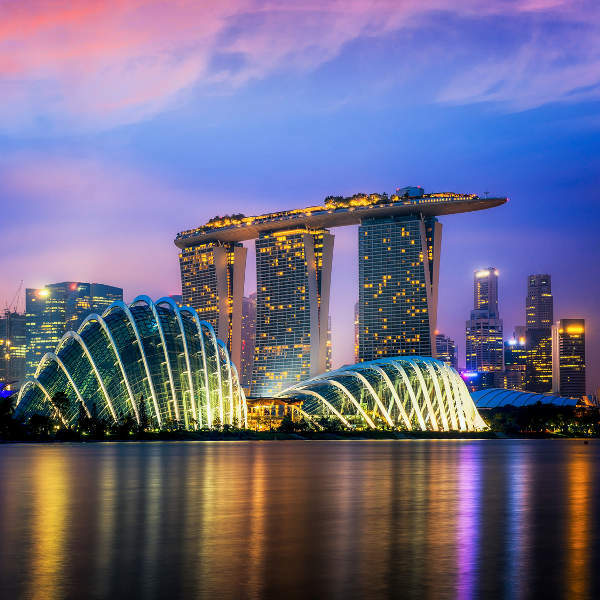 Take advantage of Singapore’s beautiful, clean streets and interesting spaces, and walk around the city, strolling through the parks and meandering around the galleries and monuments.